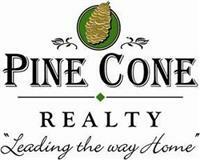 Welcome to Pine Cone Realty! Thank you for visiting pineconerealestate.com. Whether Buying or Selling I welcome the opportunity to assist with your move. My years of experience and proven home selling program can assist in the marketing of your home, finding the right buyer, and closing the sale with the lowest level of stress. 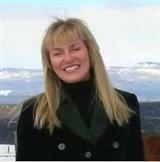 My experience combined with up to date technology, allows me to attract buyers within or outside the Norwood Colorado area. As a 35 year local I am familiar with all aspects of Buying or Selling property in this area. Whether you are relocating from across town or across the country, I can provide the local knowledge and superior service needed to make your home buying move as smooth as possible. If you are looking for commerical property, lots & land, residential property, investment property, vacation property, home rentals, vacation rentals, access to local ski areas, waterfront properties, or mountain properties then look no further than my site. My listings and home search are the perfect resources to help find property that interests you! If you need help with a short sale or foreclosure property, as an SFR certified realtor, I am highly qualified to assist you in what can be a tricky business transaction. In conjuction with my SFR certification, I am also a Master Certified Negotiation Expert which means I can skillfully negotiate the best price in real estate for you where both parties involved are satisfied. I look forward to helping you. Contact me today.